Nikon is known for the quality of their products, but their prices are not always the most affordable which is why this Nikon 8397 ACULON Laser Rangefinder comes as a bit of a surprise. It not only manages to pack in all the required features, but does so at a very competitive price as well. This rangefinder is definitely designed with ease of use in mind and sports a compact design which makes it a very practical choice for people who are always on the move. Nikon has also put their expertise with optics to good use as this rangefinder features multilayer coatings designed to enhance light transmittance. What matters most though is how this rangefinder performs out in the field, so read on to see what happens when we put it through its paces. Nikon is clearly very proud of the design for this rangefinder as their logo is featured prominently on the side of the unit. They clearly embraced the “smaller is better” school of thought as well with this rangefinder as it is one of the most portable ones we have ever tried. Whether you prefer keeping your rangefinder around your neck or in your pocket the Nikon 8397 won’t cause any strain. Nikon boasts that the compact size of the rangefinder can rival that of a smartphone and it turns out that they are not far off the mark. Sometimes units that are as small and light as this one can end up feeling cheap, but thankfully this is not the case with this rangefinder. Despite weighing only 4.4 ounces without batteries the rangefinder steel feels like a quality bit of equipment. Thanks to the solid feel of the rangefinder it is also easy to maintain a grip in wet conditions or when operating it with sweaty palms in humid conditions. The compact design of the rangefinder means it fits snugly in the palm of your hand and all the buttons are within easy reach. Pressing the closest button activates the rangefinder while the furthest button is used to select either yards or meters for measurement units. The fact that the buttons are apart far enough to operate the rangefinder even while wearing thick gloves is a big plus to anyone who plan on using it during the cold winter months. The rangefinder has a water resistant design, but sadly is not completely waterproof, so avoid submerging the unit. The unit uses a single CR2 battery and opening the battery compartment doesn’t require any special tools making it easy to swap out batteries in the field. The rangefinder powers down automatically after about 8 seconds if not used which preserves battery life. Anyone prone to forgetting to power down their rangefinders only to find the batteries drained when they need to use it will appreciate this feature. When it comes to the eye-piece, Nikon used a high-eyepoint design. It is a comfortable design and also means that anyone who wears glasses can still get a full field of view. The display of the rangefinder is very minimalistic as it shows ranges in 1-yard/meter intervals. The battery life is also clearly displayed through the rangefinder, so you always know when it is time to swap out the old batteries. In low light levels the readings can be a bit hard to discern and because of the compact size of the rangefinder it requires a steady hand to range smaller targets. Considering the price of this rangefinder it’s not surprising to find that it doesn’t have more advanced features such as slope or distance compensation. 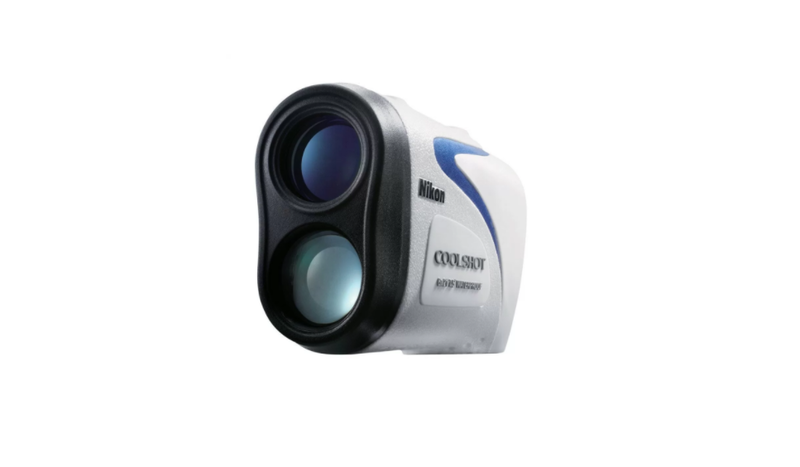 However, if you are looking for a reliable bit of kit that can get the job done quickly and accurately you won’t be disappointed with the Nikon 8397 ACULON Laser Rangefinder. Nikon lists the measurement range as about 6-550 yards which is consistent with what we found during our tests. 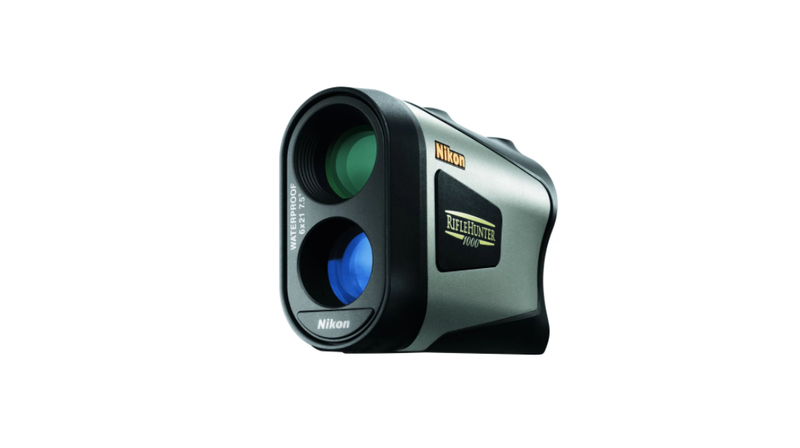 The rangefinder has 6x magnification and thanks to the high quality optics offers a clear view. This rangefinder is also programmed to display the range of whichever target is furthest when pointed a group of targets. This has the advantage of providing more accurate readings for subjects which might be partially obscured by obstacles such as grass or brush. 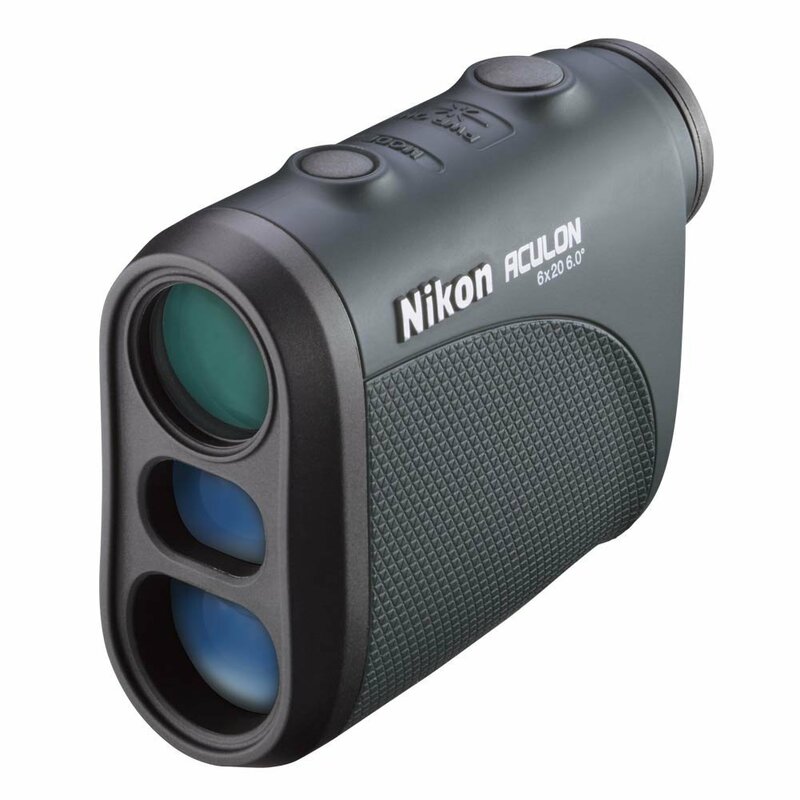 Nikon rarely disappoints when it comes to quality and the Nikon 8397 ACULON Laser Rangefinder is no exception. Anyone expecting a feature packed unit will find something to complain about, but considering the price of this rangefinder you will be hard pressed to find better value for money. 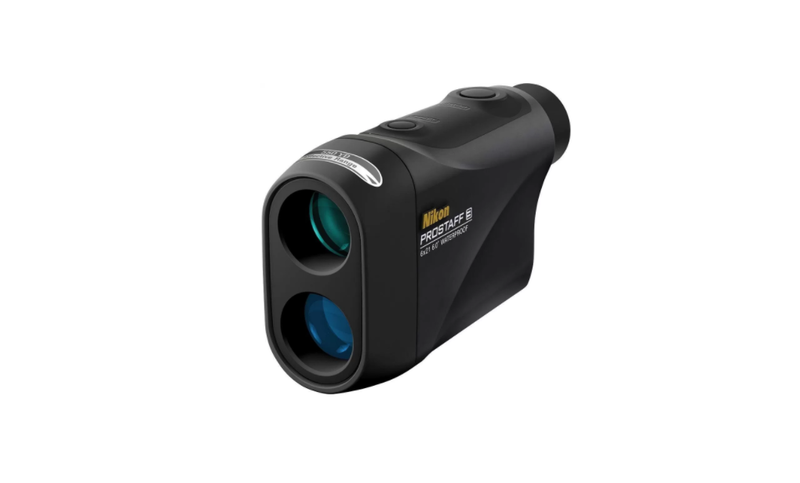 There might be better laser rangefinders available on the market, but certainly not in the same price class as the Nikon 8397 ACULON. It offers a no thrills, but reliable service that is compact enough to keep close at hand at all times. Some might see the lack of advanced features as a downside while anyone who only requires accurate ranging will be thrilled at how streamlined it is. It is a great tool for newcomers thanks to how easy it is to operate, but it is still dependable enough to be very useful to experienced hunters as well. If you are on a tight budget, but want a decent rangefinder from a well-known brand then this is a great choice.